Whether you are planning an upcoming move or simply have some extra items on your hands, a storage facility will provide you with a secure place to store your belongings. When you are looking for a storage unit, it is important to find a secure storage facility that is fully equipped for all of your storage needs. A quality storage facility near Capitola will provide you with total peace of mind when you place your belongings in your storage unit. To help you choose the right storage company for your belongings, here is an overview of some important factors to consider when you are researching storage facilities. When you are choosing a storage facility , it is important to consider the safety and security of the units. A quality storage company will offer 24 hour protection for your storage unit. You may also want to consider other safety features, such as security cameras or guards. If a storage facility offers quality security services, you will be able to store your items with confidence. Your new storage unit should provide you with easy access to your belongings. When you are choosing a storage facility, it is a good idea to choose a unit that is on the ground floor. You may also want to choose a company that offers round-the-clock access to its storage units. A storage facility that allows you to easily access your items will ensure that your storage experience is convenient for your purposes. Before you place your belongings in storage, you may want to ask about the amenities that the facility has to offer you. For example, if you are storing fragile items, you may want to make sure that your storage facility offers climate control. By reviewing the amenities that are offered to you, you will be able to make the right choice for your storage needs. 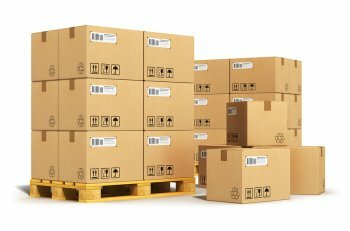 There are several steps to packing boxes for a move into a storage facility. When you are preparing for a move to a storage unit, you should be sure to find plenty of boxes. Before you fill the boxes with your belongings, you can reinforce the boxes using sturdy tape. As you are packing, make sure that all of your fragile items are protected with newspaper or bubble wrap. By packing carefully and efficiently, you will be prepared to move into a secure storage facility in Capitola. Whether you are preparing to place your items in a student storage unit or a long term storage unit rental , it is essential to take your time when packing. For a closer look at the steps of packing boxes, watch this video from Howcast. The satisfaction of our customers is our top priority, and your feedback is essential! Please leave a review on our Google+ page to let us know how we’re doing. When you place your belongings in storage , it is important to make sure that you get the most out of every square foot of your storage unit. With careful packing and planning, you will be able to fit more items into storage. Storage units provide a fixed amount of space, so you will need to maximize your packing and planning before you start the move. 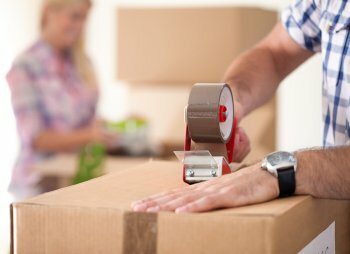 As you are preparing for a move into a self-storage unit, you should keep some smart packing tips in mind. By organizing your items and boxes, you will reduce your stress when the time comes to move your belongings into a storage unit in Capitola. Here is a quick guide to some tips for packing your belongings for storage. When you are packing boxes, it is important to carefully arrange the contents of each box. Whenever possible, try to keep items from the same room together. To prevent damage to your more fragile items, it is a good idea to pack the heaviest items on the bottom of each box. Labeling is an important step of the packing process . When you are preparing your items for a storage unit, be sure to label each box clearly and visibly. Your label can include the room where the box came from, as well as a detailed list of the interior contents. By labeling your boxes, you will have an easier time retrieving your items from storage at a later date. If there are items that you will need to have access to when your belongings are in storage, be sure to pack these objects last. By keeping your important items on the tops of boxes, you will be able to retrieve them without creating disorder in your storage unit. When you are filling your unit, you should place these boxes closest to the door. When you are seeking a self storage facility in Capitola, you may want to consider choosing JD Mini Storage. Our storage facilities will provide you with convenient and safe storage services, for either a long term or a short term stay. There are a number of advantages to choosing our professional storage services . Our storage units are all located on the ground floor, so you will be able to easily access your belongings. With a standard height of 10 feet, each storage unit also offers plenty of storage capacity for even the largest items. We have more than 35 years of experience in the self storage industry, and our friendly staff will work with you to help you find the right storage unit for your needs. By storing your items at our self-storage facility, you will be able to enjoy total peace of mind knowing that your belongings are safe.